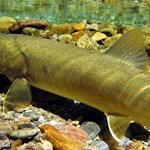 The Westslope Cutthroat Trout (Oncorhynchus clarkii lewisi) is one of two subspecies of native cutthroat found in the state. 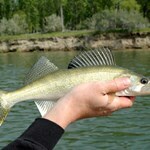 Together, they have been designated Montana's state fish. Cutthroat trout are so named for the red slashes near the lower jaws. The Westslope Cutthroat Trout's historical range was all of Montana west of the Continental Divide as well as the upper Missouri River drainage. 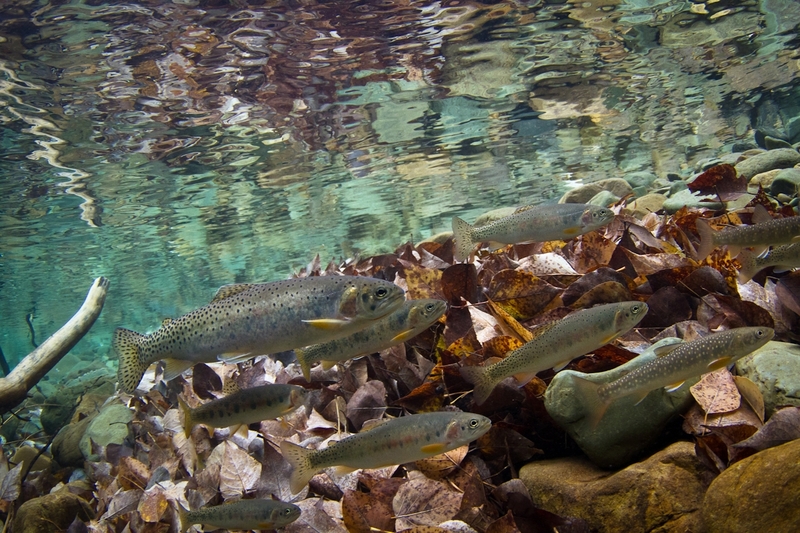 This fish has been seriously reduced in its range by two primary factors: hybridization with Rainbow and/or Yellowstone Cutthroat Trout, and habitat loss and degradation. Since the Westslope is recognized as a very important part of our native fish fauna it has been designated a Montana Fish of Special Concern in Montana. 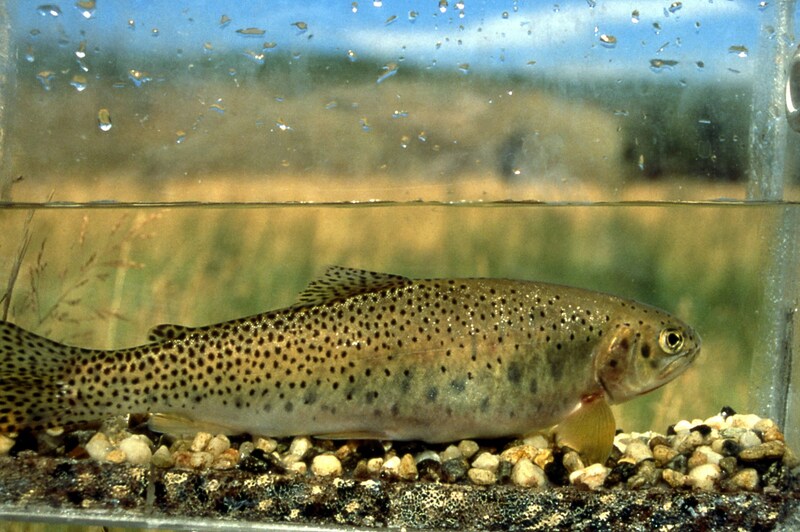 Pure Westslope Cutthroat Trout have been identified by genetic analysis and form the broodstock maintained by the Montana Department of Fish, Wildlife, and Parks at its Anaconda hatchery. 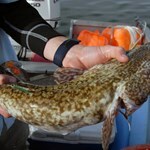 The average size of these fish is 6 to 16 inches, depending on habitat, but they rarely exceed 18 inches in length. 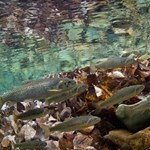 Westslope Cutthroat Trout are common in both headwaters lake and stream environments. 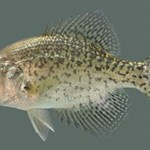 They feed primarily on aquatic insect life and zooplankton. Cutthroat spawn in the spring in running water, burying their eggs in a nest called a redd. The eggs hatch in a few weeks to a couple of months. The newborn fry frequently migrate back to lakes to rear after 1 to 2 years in their native stream. Westslope Cutthroat Trout is a trout with small, non-rounded spots, with few spots on the anterior body below the lateral line. Coloration varies, but generally is silver with yellowish hints, though bright yellow, orange, and especially red colors can be expressed to a much greater extent than on coastal or Yellowstone Cutthroat Trout (Behnke 1992). Hybridization between Westslope and Yellowstone Cutthroat Trout can produce a spectrum of spotting and coloration ranging between the typical patterns of each subspecies. 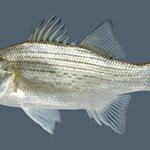 Some populations that have been affected by hybridization show little or no phenotypic signs of hybridization (Behnke 1992). Hybridization with Rainbow Trout can be detected by the appearance of spots on the top of the head and on the anterior body below the lateral line, as well as by reduced scale counts, increased caecal counts, and loss of basibranchial teeth (Behnke 1992). 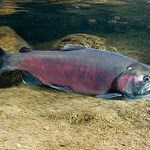 This is no bull – some of the largest bull trout you will ever see swim in the Elk River. Considered a world class, dry fly fishery, this freestone river starts near the Continental ... moreDivide in the Rocky Mountains near Peter Park in Alberta. 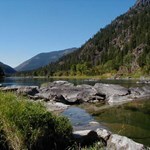 Its source is the Elk Lakes, waters created from glacial runoff. A relatively long river at 140 miles, it picks up tributaries and increases in volume to the point where it can only be crossed in a very few places. Important to the area, the river drains over 1720 square miles and courses through several communities including Elkford, Sparwood, Hosmer, Elko and of course, Fernie. 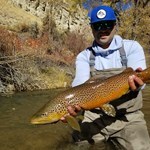 As well known as the Elk is for its mammoth bull trout, it is even better known for its sizeable wild, westslope cutthroat trout and large concentrations of mountain whitefish. Restrictions apply along the river but differ from section to section. 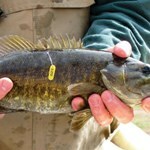 The upper section is posted as catch-and-release-only until you reach Forsyth Creek. 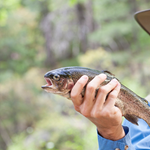 Throughout the entire river, a catch limit of only one trout over 30 centimeters applies. Major portions of the upper river can be fished from small drift boats although there the river is too narrow to accommodate large crafts. Farther downstream you may be slowed down by an abundance of beaver dams, but by the time you reach Sparwood the river is negotiable in basically any craft you choose. Without an experienced guide, the canyon span below Elko can risky. For those who prefer to wade, by late summer and into early fall, it’s possible to walk major sections of the river. Because the bottom can be slippery, felt bottom boots and a wading staff are recommended. Overall, given the river’s size, it is best suited to floating with its many boulder-strewn runs, deep pools, riffles and alluring side channels. 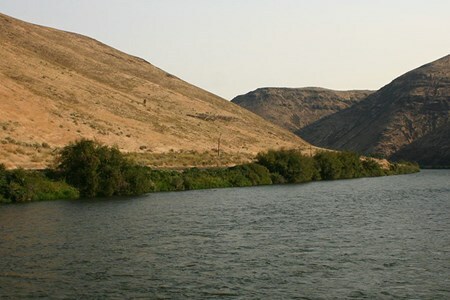 This 75-mile river, the largest tributary of the Yakima, starts off in Naches Pass and is known as the Little Naches until its confluence with the Bumping River. At that point, it ... moreofficially becomes the Naches. 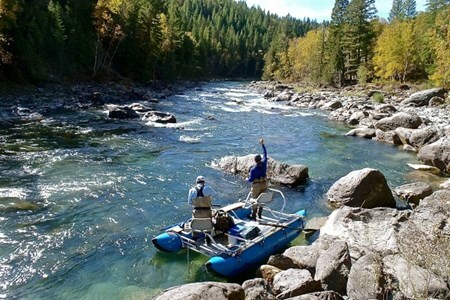 Draining into the eastern Cascades, the upper river runs through rugged mountains and scenic wilderness, offering anglers an opportunity to enjoy pristine environs at less than an hour’s drive from Ellensburg. Further down, the lower Naches and its main tributary, the Tieton River, run through open valleys filled with orchards, flowered meadows and fertile farmland before emptying into the Yakima. 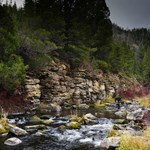 Best described as a wild, freestone tailwater, it is less frequented than neighboring rivers, making it an excellent choice for anyone seeking a quiet, outdoor adventure. Summer season begins June 1st, just in advance of the winter runoff, and continues through late October. The runoff can cause a bit of stain to the water’s clarity, but that is typically short lived. During the summer months the Naches can be waded or floated, although the water current can be strong and its rapids can be challenging. Known for its abundant trout, the river is home to wild rainbow, native cutthroat, hybrid cut-bows and bull trout species. 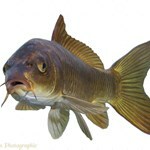 Average size is approximately 10 inches although larger fish are not uncommon. 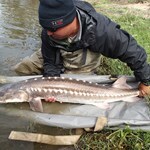 Before booking your trip ask about possible fall spawning closures and be prepared to catch and release. 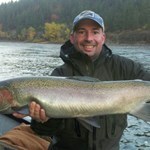 The Kootenai River trout fishery begins below Libby Dam and stretches approximately 40 miles to the Idaho border. Above the Libby Dam, Lake Koocanusa Reservoir extends over 100 miles into the Canadian Rockies. The Kootenai’s wild and native rainbows are strong, hard fighters and are known to spool line off your reel only to put on a display of adrenaline pumping jumps. Streamers, fished deep produce native Bull trout up to the 10 pound range on the Kootenai. 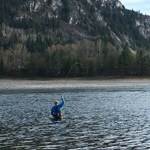 The Kootenai River is a classic dry fly fishery with long runs and flat pools that are perfectly suited for drifting a fly. The Kootenai River is a bit off the beaten path, which make this the perfect getaway for those that enjoy a bit more solitude. 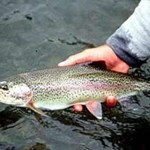 Rainbow trout up to 33 pounds have been taken on the river. 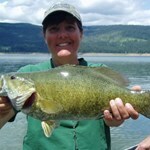 Hatches are prolific throughout the season and a steady release of water from the Libby dam provides for even flows. 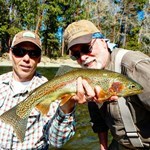 The Kootenai contains a native strain of rainbow trout, called Columbia Redbands and with 1500-2500 trout per mile there are plenty of fish that come to your fly. While waterflows can be an issue on other rivers during hot summer months, a steady supply from Lake Koocanusa keeps the local fish population of the Kootenai happy and cool. 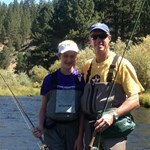 As the only official “Blue Ribbon” river in the State of Washington, the Yakima is in a class of it’s own. Being close to the quaint town of Ellensburg adds to its allure. Originating ... morehigh in the eastern slopes of the Cascade Mountain’s Snoqualmie Wilderness and ending at Richland, this 214-mile long Columbia River tributary is a managed flow tailriver, controlled by the US Bureau of Reclamation and fed by three main reservoirs – the Kachess, Keechelus and Cle Elum. Despite the controls, a mix of both bottom fed and top water releases create water conditions more like a freestone river than one encumbered by dams. Unlike most western waterways, its waters are low during the spring/fall months and high during summer when demand for irrigation is greatest. 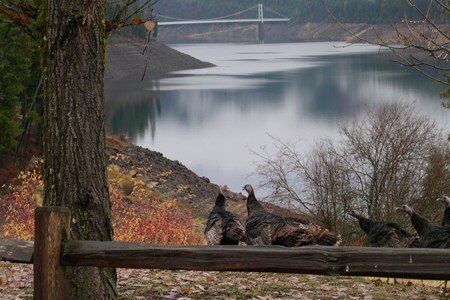 The Yakima’s official 75-mile Blue Ribbon stretch starts where the three tailwaters merge near the town of Cle Elum, and continues on until reaching Roza Dam. 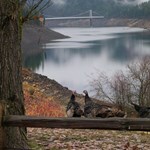 The upper river down to the confluence of reservoirs tends to be braided and difficult to float. A flat section follows, known for wading and long rifles. At East Cle Elum the river runs 14 miles through its “upper canyon” section, populated with large boulders and an abundance of cutthroats. From Diversion Dam to Wilson Creek is the farmland section. 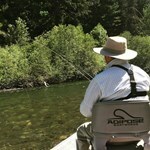 Known for apple orchards, Cottonwoods and Timothy Hay, the fishing is good but access difficult due to private landholdings. 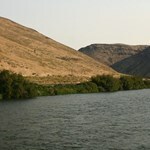 Arid Yakima Canyon that runs from Wilson Creek to Roza Dam is the most fished part of the river, typically by drift boat. The river is open year round with runoff in May. While anglers come from afar to fish Yakima’s waters, it’s rarely over crowded. 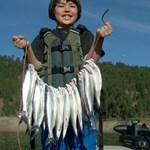 There’s a wide variety of fish, including rainbow, cutthroat, browns, brook, kokanee, burbot and smallmouth bass. 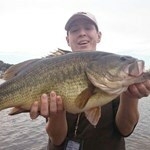 Fish range in size from 12-14 inches. 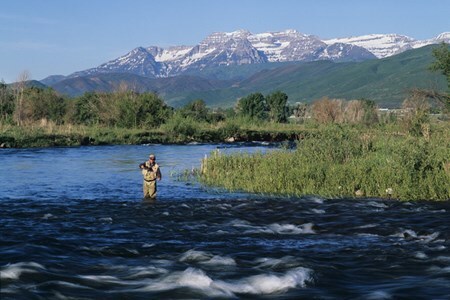 Before booking a trip, be sure to check anticipated water levels and remember that this is a catch and release river. 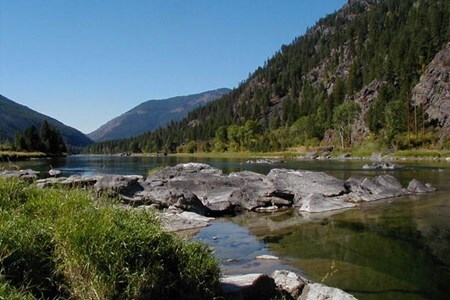 Dworshak Reservoir, found in central Idaho along the North Fork of the Clearwater River, is located in scenic forested and mountainous country. 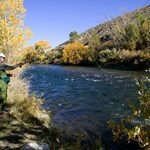 Popular activities include swimming, ... moreboating, fishing, hunting, water-skiing, camping, hiking and lots more. At a height of 717 feet, the dam is the highest straight-axis gravity dam in North America, as well as one of the most dramatic in appearance. 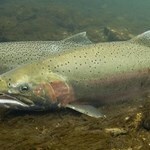 The Dworshak National Fish Hatchery is the largest steelhead trout hatchery in the world. Lewis and Clark camped in the area, where they rested from their trip over the Bitterroot Range and built canoes for their trip on to the Pacific Ocean. The reservoir is over 600 feet at its deepest point. Emerald green, wild and free. 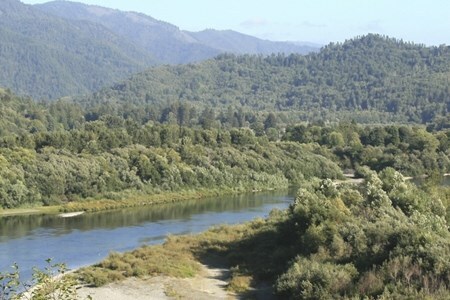 This is the Smith River, one of the longest rivers in the National Scenic Rivers System and the only major river in California to remain un-dammed. Over ... more300 miles of this river are federally protected, forming an important part of the Smith River National Recreation Area. 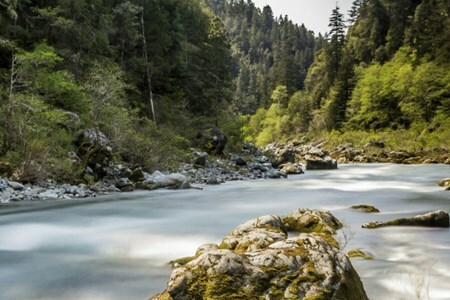 The US Forest Service is responsible for overseeing the diverse region as the Smith River and its tributaries make their way through the Jedediah Smith Redwoods State Park and Redwoods National Park to the Pacific Ocean. The National Recreation Area is more than 450 square miles of land set aside to preserve great forests, rare fauna, wilderness landscapes, pristine mountain lakes and immense, deep canyons. The presence of old growth trees serves to keep the river banks of the river and its tributaries shaded and cool, a key element to protecting native, cold-water fisheries. 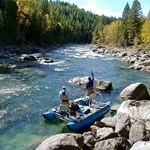 The area is well known for its abundance of steelhead trout and salmon. 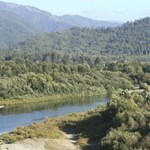 More than a river, the Klamath is part of a regional watershed that includes three of its principal tributaries – Wooley Creek, Scott River and the Salmon River. It is one of only ... morethree rivers that bisect the Cascade Mountain Range, traversing a wide range of topography from high desert to coastal rain forest. Beginning approximately three-quarters of a mile below the Iron Gate Dam, the river runs through until it reaches the Pacific Ocean. Administration of the river is split. 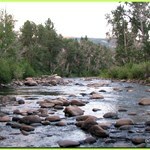 The upper, 127 miles are managed by the US Forest Service and Bureau of Land Management. The State of California, in concert with the National Park Service and various Native American tribes, manage the remainder. All of its tributaries, except a small portion of the Scott are under the purview of the US Forest Service. 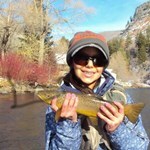 The most notable characteristic of the Klamath is its variety of androgynous fish, supported by the river throughout most of their in-river life stages. 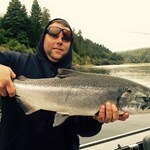 These species include Chinook salmon (spring and fall runs) coho salmon, steelhead trout (summer and winter runs) coastal cutthroat trout, green and white sturgeon and Pacific lamprey. 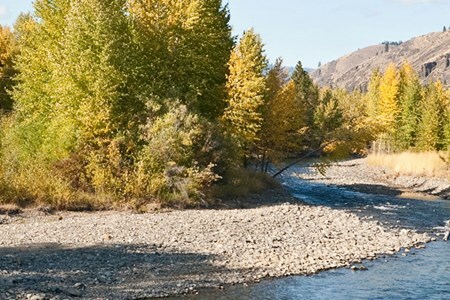 The river is also home to a genetically unique population of rainbow trout that have adapted to river’s high temperatures and acidity. 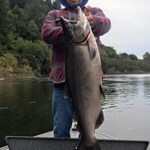 Considered by ecologists to be important to the area’s bio-diversity, the Southern Oregon and Northern California Coast coho are federally listed as endangered species and the Klamath River is a designated, critical habitat. 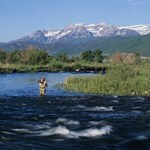 This habitat also provides a home for other endangered fish including Lost River and short-nose suckers. 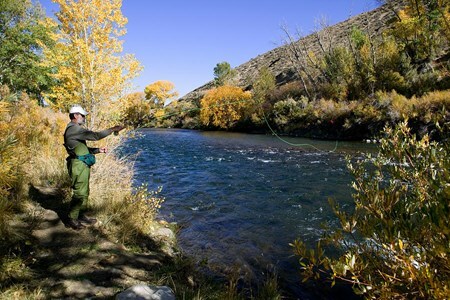 Despite this designation, the river supports a thriving sports fishing industry as well as myriad other uses including white water rafting, birding, hiking and camping. 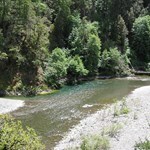 One river, three forks and diverse landscapes – that is the Eel. It begins high in mountainous pine forests, flows through deep canyons, cuts through majestic redwood forests and finally ... moreruns through a long, sloping valley into the Pacific. 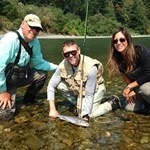 Both known for salmon and steelhead fisheries, the Van Duzen joins with the Eel on a serene coastal plain. 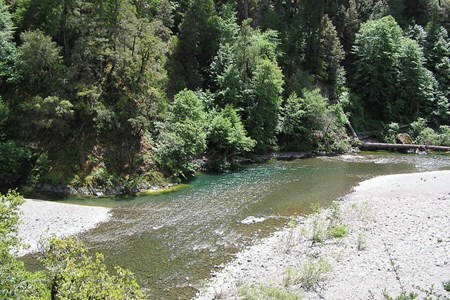 Inside the beautiful Mendocino National Forest, the Middle Fork Eel River flows through the Yolla-Bolly Middle Eel Wilderness area. Here the terrain is scenic but challenging, characterized by natural landslides and jutting rock formations. Despite its unusually high sediment content from winter erosion, the river is home to steelhead, Chinook salmon and lamprey. The river remains accessible throughout the year with multiple points of access. The Truckee River is a stream in the U.S. states of California and Nevada. The river flows northeasterly and is 121 miles long. The Truckee is the sole outlet of Lake Tahoe and drains ... morepart of the high Sierra Nevada, emptying into Pyramid Lake in the Great Basin. Its waters are an important source of irrigation along its valley and adjacent valleys. The Truckee River's source is the outlet of Lake Tahoe, at the dam on the northwest side of the lake near Tahoe City, California. It flows generally northeast through the mountains to Truckee, California, then turns sharply to the east and flows into Nevada, through Reno and Sparks and along the northern end of the Carson Range. 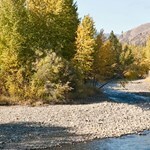 At Fernley it turns north, flowing along the east side of the Pah Rah Range. It empties into the southern end of Pyramid Lake, a remnant of prehistoric Lake Lahontan, in northern Washoe County in the Pyramid Lake Indian Reservation. The Truckee River's endorheic drainage basin is about 3,060 square miles (7,900 km2), of which about 2,300 square miles (6,000 km2) are in Nevada. The Middle Watershed is regarded as the 15 miles (24 km) of river and its tributaries from Tahoe City in Placer County, through the Town of Truckee in Nevada County, to the state line between Sierra and Washoe counties. The major tributaries to the Truckee River in California from the Lake Tahoe outlet and heading downstream include: Bear Creek, Squaw Creek, Cabin Creek, Pole Creek, Donner Creek, Trout Creek, Martis Creek, Prosser Creek, the Little Truckee River, Gray Creek, and Bronco Creek. Major lakes and reservoirs in the California part of the watershed include Lake Tahoe, Donner Lake, Independence Lake, Webber Lake, Boca Reservoir, Stampede Reservoir, Prosser Creek Reservoir, and Martis Creek Reservoir. In the Lower Watershed, Steamboat Creek, which drains Washoe Lake, is the major tributary to the Truckee River.